We specialize in homes in the Allen area. From quaint shops to amazing restaurants, to great sport opportunities and much more. In fact, we don’t just help clients sell and buy homes in Allen … we’ve lived next door in McKinney ourselves for just under a decade, and we’ve helped dozens of clients navigate their way through finding the perfect home for sale in Allen. 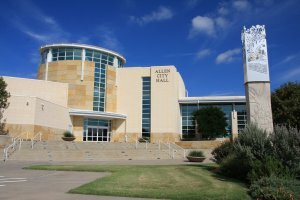 If you’re looking for Allen Texas Homes for sale, check out the currently available properties below. Why Work With Homes By Linda? Because we offer unparalleled, local experience and a high degree of personalized support. With our RE/MAX national and international support network, our team offers the resources to help you sell your house fast for the best price. We know the area and the local market better than anyone else. If you are ready to buy, we will bring you the best deals as soon as they become available. We can also help find properties that are off-market and unadvertised. If you are looking for Allen, TX homes for sale, we will help you find the best properties available. Looking for the Perfect Allen Texas Home? Let Us Help You!